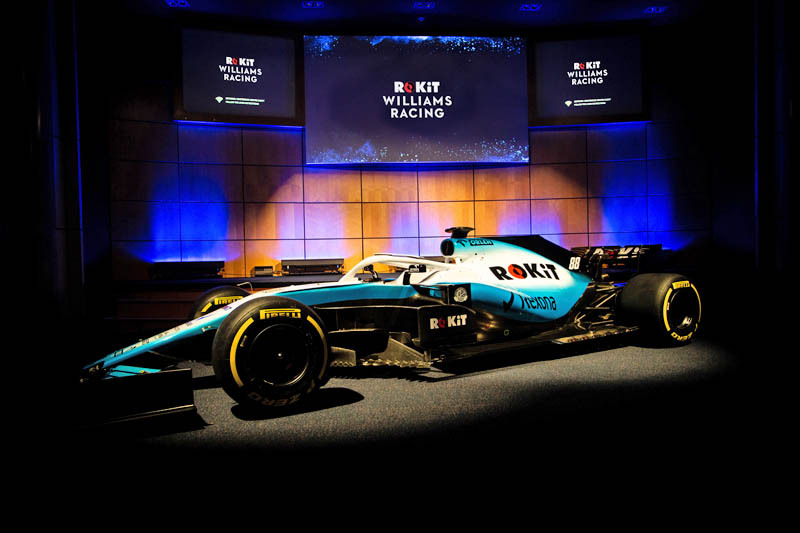 Williams Racing has announced a new multi-year agreement today with ROKiT, a global telecommunications company, in which ROKiT becomes the team's new title partner. 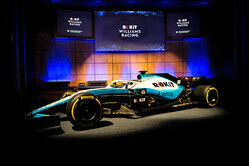 The partnership was revealed during a special event held at Williams Racing HQ ahead of the 2019 season and signals an exciting new era for the team. ROKiT is a new telco brand challenging the status quo, offering premium smartphone technology, performance and design at an affordable price and installing innovative Wi-Fi networks to make the world a better place. ROKiT is working internationally to develop smart cities and is currently rolling out public Wi-Fi across 27 of India's largest cities, with a vision to create smart cities in 10 other countries in the next 3 years. ROKiT's innovative mesh Wi-Fi network provides communities with better, faster and more cost-effective connections. ROKiT is the brainchild of philanthropist and business innovator, John Paul DeJoria (Patron Tequila, Paul Mitchell) and British entrepreneur Jonathan Kendrick, whose personal passion for innovation, engineering and motorsport made him the ultimate driving force behind ROKiT and the sponsorship of the iconic British racing team. Kendrick's close affiliation with Formula One and Williams started, aged 17, with Goodyear Racing in Wolverhampton, before securing the European rights of the then unknown Yokohama Tyres, ahead of moving into audio-visual innovation for mobile phones. As part of the Williams trackside team, Kendrick proudly engineered the tyres of Alan Jones' race car at the 1978 Argentine Grand Prix in Buenos Aires. 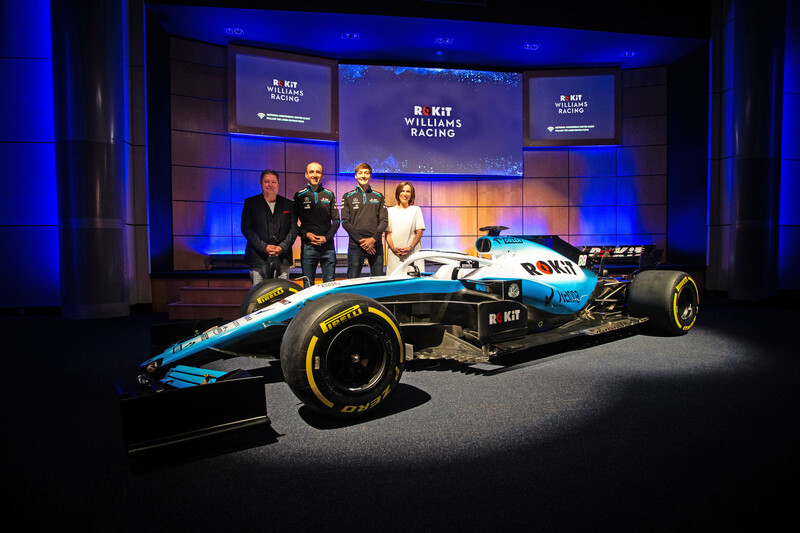 "We are delighted to welcome ROKiT to our team as our title partner for the 2019 season and beyond," said Claire Williams. "We share many similar values and aspirations with ROKiT; primarily putting engineering and innovation at the core of everything we do in our pursuit to be the best – the perfect platform from which to start a partnership. "ROKiT is on an exciting journey in their world of telecommunications, as we are at Williams as we build the team for a successful future. Taking that path together will make us both stronger in our endeavours and so I can't wait to get started." "With ROKiT launching in 2019 we wanted a global platform that would help us tell our story of innovation," added Jonathan Kendrick, Chairman of ROK Brands. "Williams Racing is the perfect partner. With them we can bring F1 to audiences in new and pioneering ways. Through our glasses-free 3D technology and our Wi-Fi capabilities, we aim to make Formula One even more accessible for all. Williams Racing exists purely to race in the top echelon of motor racing and we see the exciting partnership of ROKiT Williams Racing as the beginning of an ambitious and exciting road back to the podium." In addition to exclusive naming rights, the major title partnership will see ROKiT branding adorn the new Williams Mercedes FW42 race car. ROKiT will also feature prominently on the race suits and helmets of Williams' race drivers, plus all trackside personnel team kit. 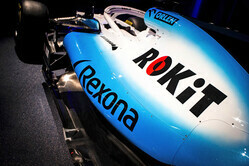 The ROKiT Williams-branded FW42 car will make its race debut on March 17th in Melbourne. Off track, consumers will have a unique opportunity to connect with ROKiT Williams through compelling race lifestyle content and interactive activations surrounding key races. Check out our gallery, here. "I think Alonso would like this car - " I don't care - even if you put a ""ROKIT"" we still qualify 11th""
"Thank you for the clarification Chris, so it was a shopping trolley &#128512;&#128512;"
It's the 2018 car with the 2019 livery." "I take it the subdued lighting is to hide the fact that the car is either a) not finished, b) looks awful or c) has the steering geometry of a shopping trolley." "Who gives a rat's A**e what colour or livery is on the car! If the car is good and the drivers get to set it up that is all that matters. Good luck Williams F1...you deserve to be up the front." "Seems there could be a tad more depth to ROK than might first appear. The owner is a billionaire and already has established brands. The Williams sponsorship seems to be about building another brand. https://www.pcmag.com/news/365842/rokit-has-the-wildest-phone-lineup-at-ces"
"I'd have thought a vapour ware telco would be sponsoring Esports. "So far we have a drinks company so exclusive you can only buy cans direct, a tobacco co that is already being investigated with a view to being banned and a telco that hasn’t launched yet. What’s next? A virtual sponsor?" "I thought Rokit is clothes company, never heard of that telecommunications Rokit, haha global..."